By using the background grid, you can more easily create precise drawings in less time. 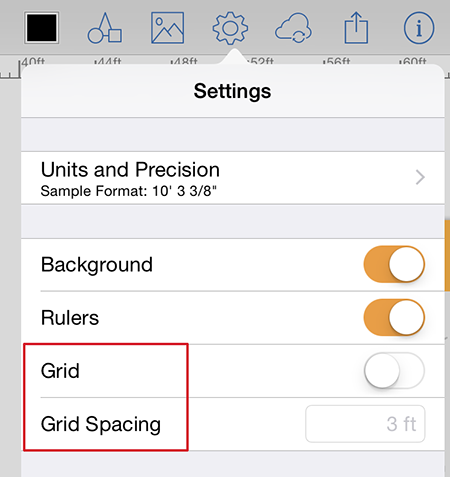 The following Grid options are available from the Settings panel. 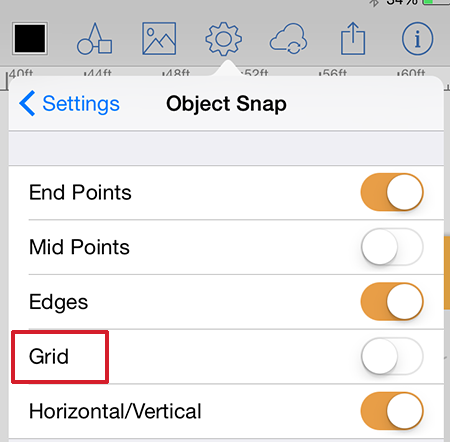 Object Snap > Grid - Toggled on, when you draw, resize, or move an object, it will align or "snap to" the nearest gird lines. Available under Settings > Object Snap. Note - this option is OFF by default.